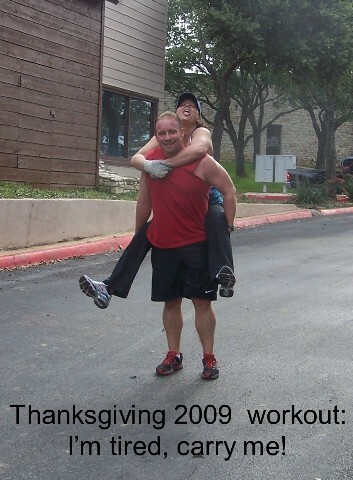 My clients asked me to offer a fat blasting workout at thanksgiving so they could burn off that large feast on thanksgiving. So I offered friday and saturday, a 90 minute workout. It was a huge success, We had 8 on “Black friday” and 16 on saturday. Some folks enrolled in both days, such brave souls… We mixed some outside bootcamp drills and some strength tabatas inside… I got some great pics which i want to share with you. 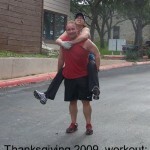 It was such a huge success, they requested a New Years workout. There logic is i was off for 2 weeks and they needed a good workout, so i guess it was my fault they did not workout??? They did everything from sprints to bearcrawls to backward plyo jump squats plus much more.